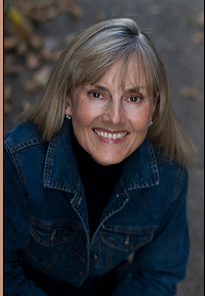 I am delighted to have Jacqueline Winspear, author of the very popular Maisie Dobbs mystery series, appear on A Writer of History. You will see that she is passionate about writing and creating the best stories she can. Interestingly, Jacqueline also writes memoir and personal essays. Why do you write historical fiction? I enjoy history. I enjoy telling a story and I enjoy working with characters in an historical context. It’s a very simple equation – but I don’t only write historical fiction. I write memoir and the personal essay, which I also love. I have learned more about writing from writing creative non-fiction, which is interesting. Based on my survey, you are one of readers’ favourite historical fiction writers. Well, I didn’t know that – I feel most honored. What do you think attracts readers to your books? My books are completely character driven. People are drawn to people – and with a series there is an ongoing connection, so readers like to come back to see what has happened to the characters who have engaged them. Do you have a particular approach to research and writing? No not really, I do a lot of research, and draw upon a lifelong interest in the era about which I write – but it’s important to remember that research is only there to underpin the story. While true-to-life events can affect the narrative, the novelist is there to tell a story, so it’s important not to feel there is a need to give a history lesson. Research brings color and texture, and well-placed detail can anchor a story in its time – but the novel should not be so fact-heavy that it is like a textbook. Have other writers of historical fiction influenced you and, if so, how have they influenced you? I just began to write stories that were in my head, but I can’t say I have been influenced by other writers of historical fiction. I am inspired by other writers, but not necessarily writers of historical fiction. I am also inspired by non-fiction and memoir written during the era about which I write – and of course, at the time it wasn’t historical, it was usually more in the context of current affairs/ journalism. What ingredients do you think make for a top historical fiction author? Do you deliberately plan for these ingredients in your writing? I truly think that the second you start thinking in this way as a writer, you might as well throw in the towel because it suggests you are becoming hungry for “top” as opposed to “writer” Or “good writer.” I set out to write the best novel I can – that is all that is asked of me. I do not try to write a bestseller, or a book that gives me a certain position – I just do my best, and I remain inspired by my characters and the period about which I write. The fact that so many readers love my books is really the icing on the cake – that I get to write those books is my challenge and the work I love. I think there is something inherently misguided in the idea of trying to incorporate ingredients that might make one a top historical fiction author – being considered “top” is not more important than the actual work. I am trying to make the distinction here without seeming as if I am dismissive of the notion. 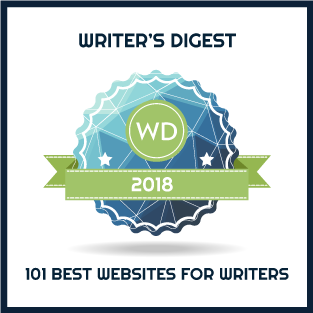 I never consider myself “top” – instead I consider myself a writer who has a lot of room for improvement, a work in progress, so I am always looking at ways to stretch myself as a writer. But I do not strive in that way to be perceived to be in a certain elevated position – I do it because I want to write the best story I possibly can, because I want to be more dexterous with language, with imagery, so that my readers’ experience is a richer one. Does that make sense? I’m not dismissing “top” – just putting it in a certain perspective with regard to the most important part of the equation, which is a commitment to craft and story. And I always feel as if I have a long way to go. I must have read “Jacqueline could do better” on a school report as a child, and been marked by it ever since! You are about to release your tenth Maisie Dobbs novel. What advantages do you think will come from writing a series? Writing the series gives me an opportunity to get to know the characters in a much more natural/organic way – over time. At the outset of any relationship, you don’t know all there is to know about a person in one hour, or one meeting – relationships allow people to reveal themselves to each other over time. So, in a way, the series is like that –with each novel there is another opportunity to discover nuances of character. I love the fact that I can take a cast of characters, each with their own ingrained cultural background, each with their life experiences, good and bad, and I set them in a time where I also see how they respond to the events of their day – what they have to say about the news, what they think about the world around them – and then into that I add the element of mystery. I move my characters through time – each novel is set in a different month of a given year, so we have seen them develop from the Great War, then in more detail from 1929 – 1933. That is a very rewarding process, for a writer. I can hang the story on the peg of history, and see who those people are at the end of each book – that’s what brings me back to the characters, and I think it’s what brings readers back. I don’t know of any disadvantages, as long as I am able to write other things too. I like the series format, but I also like the challenge of the short story, the novella or the non-series novel. How has Maisie changed over these novels? Were any of those changes surprising to you? Maisie has of course changed over the course of her life, from the age of 13, which is when we first get to know her, to her mid-thirties. I have taken a character, born into a certain set of circumstances, then set her in a different milieu, then again I have given her the experience of war, where she has seen death of a most terrible kind, and where she felt the pain of loss. She is as shell-shocked as any man, given her experiences. And she is coming of age at a time when everything changed for women in Britain – so she is very much a woman of her time. She has to change – she would not be normal if she didn’t. And not all changes impact people in a positive way – she can be controlling, sometimes appearing dispassionate – there can be a hard shell to her very soft heart. Those traits are not atypical in people who have experienced trauma. But we also see her through the lens of other characters, which is important. None of the changes were a surprise to me – I expect people to be marked by their experiences and by their responses to the world in which they live, and to their responsibilities. What brand are you trying to create for yourself? I am not trying to create a brand. I am a writer – I create characters and write stories I want to write, and I do my best to make that story engaging for the reader. I may be a bit of a Luddite, but I don’t think of my writing in terms of a brand. What do you do to connect with readers? I have a mailing list and send out about four pre-publication newsletters, but I don’t send newsletters out on a very regular basis – I know I get tired of receiving newsletters because I don’t have time to read them, so I only email my readers when I have news for them in conjunction with a new book. Most readers want the next book – so they don’t want or need to know anything more about my life than when I am going to produce the book they’re waiting for. Having said that, I usually post something on Facebook every week or so, and I have shared some personal stories, but sometimes I don’t post anything for ages. What do you know about your readers? That they like my books. That they are varied – equally men and women and across a broad age range. From emails I receive I know there are certain groups who enjoy my books – veterans of war, nurses, psychologists, students (the books are used in quite a few schools and universities), as well as people who enjoy the era, who like to follow series characters. What data do you collect about your readers? I do not collect any data about my readers. This is a really simple relationship in that I write books, my books are offered for sale and they have a readership. I think my readers would be offended to think that I consider them subjects for a data mining operation. I am a writer – if I spend time doing all that data stuff, it means I am not working on improving as a writer. Having said that, I know publishers have all sorts of information at their fingertips, though like all information – what does it really mean to the writer at the end of the day? I have a mailing list for my newsletter, but I don’t “use” the information except to send that newsletter out. It always comes down to the book, and to the effort you put into it – you can’t get away from that, and all the data in the world doesn’t change that basic responsibility of the writer to the reader – in fact, the responsibility of the writer to her craft, and to her story. What strategies guide your writing career? I don’t really have a strategy – oh dear, failed again! I have ideas for books I want to write, and I get on and write them. I look for ways to improve my writing, and my outlook – attending workshops, for example, or stretching myself to write in a genre I am not familiar with. I write essays and articles – I believe in “cross-training” for the writer. I don’t have a plan or a strategy, and that is perfectly fine with me. I will take it as it comes, do my best and see what happens. At the end of the day, even the best laid plans can come unglued, so for me, I find it best to be led by my heart and my sense of what feels right at a given time. It’s a way of going forward that has served me well. What would you do differently if you were starting again? I would probably have kept a few more copies of the first printing of the first edition of my first novel, Maisie Dobbs (apparently they are about $200 a piece on ebay!). Other than that – nothing. Everything unfolds as it should. Do you have any advice for writers of historical fiction? Mainly to remember that you’re writing fiction, that you are first and foremost a storyteller. The research component should be like an iceberg – only 7% of it visible above the surface, though the rest informs every word. And I really think working at the craft is paramount – working on being the best writer you can be. Many thanks, Jacqueline. I feel certain that others – both readers and writers – will enjoy hearing your perspectives. On a personal note, I am intrigued that you feel you have “learned more about writing from writing creative non-fiction” and by your cautions concerning historical detail being primarily below the surface just like an iceberg. I have already pre-ordered my audio version. Thank you for the interview! Thanks to both of you for the opportunity to read this in-depth interview. I love a writer whose first priority is her story and who focuses on bringing her characters to life. A superb interview. What a pleasure to read! 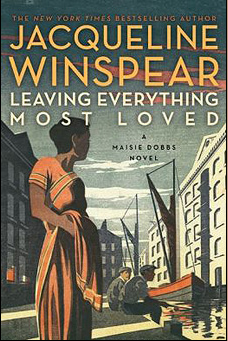 Congratulations to Jacqueline on her 10th Maisie Dobbs book. Very intriguing interview. I have not read any of her work, but I love that Maisie ‘ages’ with the series. Most often we just see the same character stuck in time kind of thing for series types of books. I love her strategy of always learning too. I couldn’t agree more with the fact that we should be storytellers first, Jacqueline. I agree too that most of our research should be under the surface barely visible. So much of what I research never ends up in my books, but it is there influencing my work nevertheless. Thanks for the great interview, Mary and Jacqueline. I couldn’t agree more with you, Jacqueline. Most of our research is under the surface. So much of what I read and uncover is never actually visible in my work, but it is there nevertheless. Thank you for the great interview, Mary and Jacqueline. I love reading your interviews. Writers are almost always great readers and we love to gain insight into another writer’s process and thoughts. We are all so different! I love that Jacqueline is so clear in terms of what her role is – writer first and foremost. Sometimes that can get a bit lost in building brands etc. I agree, Marg. What I would love to do most right now is get back to writing. Instead, I’m trying to figure out how to publish and market my own book. The tasks are endless. I’m sure many writers wish they were in Jacqueline’s position! I’m actually intrigued that she doesn’t think about brand since she has so clearly created a Maisie Dobbs brand. What a coincidence finding your interview this morning, Jacqueline. I was describing my work in progress novel set during WWI to someone this past weekend and she said it reminded her of Maisie Dobbs. (Now I see that is an association to aspire to!) I’m new to your books but really looking forward to reading them. I appreciate that your focus is on story first. I agree on the idea of just writing a great story and not chasing the ‘social butterfly’ but just writing and letting this butterfly come light on my shoulder and smile at my next story. I like this marketing model. Many thanks J.F. … love the butterfly analogy although those little beauties can be elusive, can’t they! So pleased to have you visit my blog, Ilene. Sounds like you are quite a reader. Your blog is a wonderful concept. Thanks so much!!!! Appreciate it!